Given ABA’s commitment to diversity in all its meanings, members are strongly encouraged to nominate all interested candidates for the association’s 2018 Board of Directors elections. There are just a few days left for ABA member stores new to the Indies Introduce program to sign up to take advantage of specials on titles chosen by booksellers as the top debuts of the upcoming season. Booksellers can place their orders now for official 2018 Independent Bookstore Day T-shirts featuring an illustration by Carson Ellis. ABA members are encouraged to nominate candidates for the association’s 2018 Board of Directors elections as soon as possible; self-nominations are acceptable. Sunday is the deadline for booksellers at ABA member stores that did not have a Winter Institute scholarship winner in 2016 or 2017 to apply for a scholarship to the 2018 Winter Institute. Indies First 2017: Get Your Store on the Map! Bookstores participating in Indies First on Small Business Saturday (November 25) are asked to submit their event details to the Indies First Activity Registry so that they show up on IndieBound’s searchable map. The 2017 ABC Best Books for Young Readers catalog will arrive in stores later this month. Booksellers can now view the list of catalog titles in an Excel file and place an order to supplement their stock. 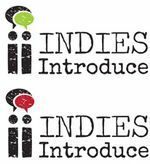 ABA member stores new to the Indies Introduce program must sign up by October 30 to take advantage of specials on 10 adult and 10 children’s titles chosen by booksellers as the top debuts of the upcoming season. The ABA Nominating Committee is looking for qualified candidates to serve on the ABA Board of Directors. Any ABA member may nominate a qualified candidate, including themselves. The deadline for American Booksellers Association member bookstores to submit their 2016 financial data to the ABACUS-16 survey is 11:59 p.m. Pacific Time on Wednesday, October 11. The 2017 ABC Best Books for Young Readers catalog will be arriving in stores later this month, and booksellers have the opportunity to supplement their supplies with extra stock. American Booksellers Association member bookstores now have until 11:59 p.m. Pacific Time on Wednesday, October 11, to submit their 2016 financial data to the ABACUS-16 survey. Just prior to the MPIBA trade show in Denver, the American Booksellers Association will present an all-day workshop on how implicit racial stereotypes can create barriers to genuine relationships. Nominations of qualified candidates for the American Booksellers Association’s Board of Directors should be submitted to the Nominating Committee no later than October 31. Booksellers have until the end of today to submit their store’s 2016 financial data; participating stores will receive a detailed individual store performance report that analyzes their financial results.